The New York Times Co. is looking for someone to buy The Boston Globe, which lost $50 million last year. 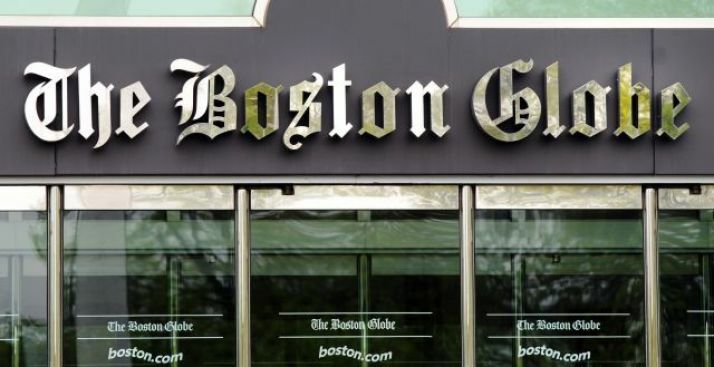 The New York Times' parent company has hired Goldman Sachs to help oversee a sale of The Boston Globe, and the company plans to request bids for Boston's major daily in the next couple of weeks, the Globe reported. Awash in red ink, the New York Times Co. hired the same Wall Street investment bank it is using to sell its 17.5% stake in the Boston Red Sox, the Globe reported. Goldman Sachs representatives have been telling potential bidders that the Times Co. would begin accepting bids for the Globe after June 8, no matter which way the Globe's largest union voted on $10 million in pay and benefit cuts demanded by the company. "The New York Times has indicated to interested buyers that once the June 8 vote had taken place, once everybody knew what was going to happen -- up or down -- they would expect bids a couple weeks later," one interested buyer told the Globe. "That doesn't mean they have said they are going to sell it. They've just said they are willing to entertain bids. But it sure indicates an interest," said another potential bidder. Both Times Co. and Globe executives declined to comment yesterday. "It's our longstanding policy not to comment on rumors concerning potential acquisitions and divestitures," said Times Co. spokeswoman Catherine Mathis. No one has publicly declared an interest in buying the Globe, which lost $50 million last year and is on pace to lose money this year with the economy struggling and more readers getting their news online. However, since early April, when Times Co. executives threatened to shut down Boston's 137-year-old newspaper if Globe unions didn't accept $20 million in concessions, many industry analysts believed the company was angling to shore up the Globe for a sale. In the last two weeks, three of the newspaper's four major unions ratified concessions giving $10 million back to the Times Co. The Guild -- the paper's largest union representing nearly 700 editorial, advertising, and business office staff -- fell 12 votes short of ratifying another $10 million in concessions on Monday. However, the Times Co. said yesterday that it will get $10 million it needs from the Guild by imposing a 23% wage cut, effective Sunday.